The county council could be missing out on huge amounts of money it is entitled to for road improvements. Section 106 agreements – money developers are obliged to pay the authority to mitigate the impact of their schemes – are not being properly managed, according to the council’s Environment, Transport and Localities Select Committee. We felt that without enhanced resource and improvements highways are at risk of essentially being reliant on developers to submit s106 payments on time, or to rely on information from districts. Councillors heard that the post of section 106 monitoring officer was lost in 2012, which they felt that was a ‘lamentable mistake’ leading to ‘a lack of focus, visibility and expertise to effectively manage the s106 process’. 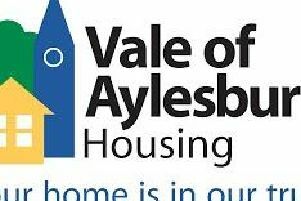 With Bucks – and in particular, Aylesbury Vale – set for massive housing growth over the next decade, they said it was vital changes are made. The committee was particularly critical of the highways department, in contrast to education which it said was in a ‘much better position’. When councillors first spoke to highways over a year ago they were ‘dismayed’ by the lack of records and monitoring they had. The committee said while things have improved the council is still at risk of losing out on money it is due. It said triggers for developers to pay up were not ‘monitored robustly due to lack of resource’. As a result, the council ‘risks reputational damage as developers will see it as a light touch’. Their report adds: “We felt that without enhanced resource and improvements highways are at risk of essentially being reliant on developers to submit s106 payments on time, or to rely on information from districts. The committee makes seven recommendations to the council. These include forming a central register database for all agreements, making a cabinet member directly responsible for section 106 monies and placing money due in the authority’s capital programme. Stephen Walford, the council’s director of growth and strategy, said: “The select committee has, rightly, reflected member concern in this area and, in its report, makes clear the desire to see council performance improve. WHAT ARE SECTION 106 MONIES? Legally binding private agreements made between planning authorities and developers, named after relevant section of the Town & Country Planning Act. They provide millions of pounds of extra money to councils and are used to make development acceptable in planning terms. Money is put towards services, infrastructure and amenities in order to support development.